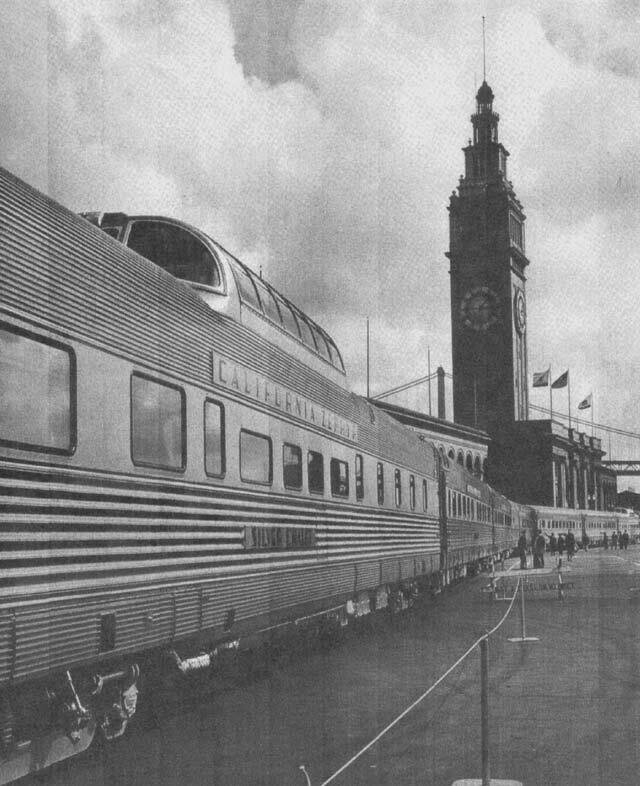 1938 Santa Fe Railroad's "Golden Gate" displayed by the Ferry Building on September 22. 1987 San Francisco Trolley Festival - two 4-wheel trolleys operate on the SBRR with generators in tow! 2000 MUNI's F-Line replaced the State Belt - Restored PCCs return to SF! 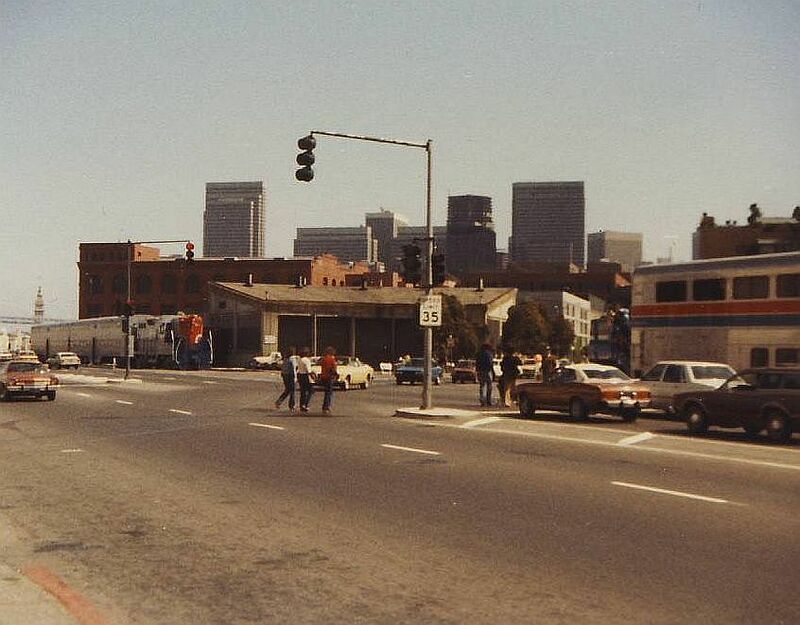 "Amtrak Family Days" was held May 14 and 15, 1982 in San Francisco by the State Belt Roundhouse. Attending for Caltrain was freshly painted 3187, along with gallery cars 3701 and 3702. Amtrak display had F40 245, along with nine cars. State Belt in the Movies The State Belt has been featured in a number of movies over the years, here is a partical list of some films where you can see the State Belt in action. Notes Dec 1975 - The AFT displays on the Presidio military reservation near Golden Gate Park. 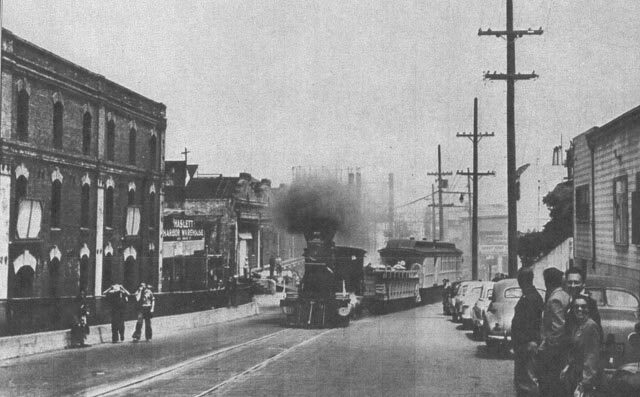 The locomotive is spotted near the base of Hyde St. in the shadow of Ghiradelli Square. This is the furthest point "West" the train ever displays. Railroad Magazine, May 1973, Pg 12, 28 - The Flying Scotsman being hoisted aboard the vessel California Star at Oakland, CA for a voyage to Liverpool, England. 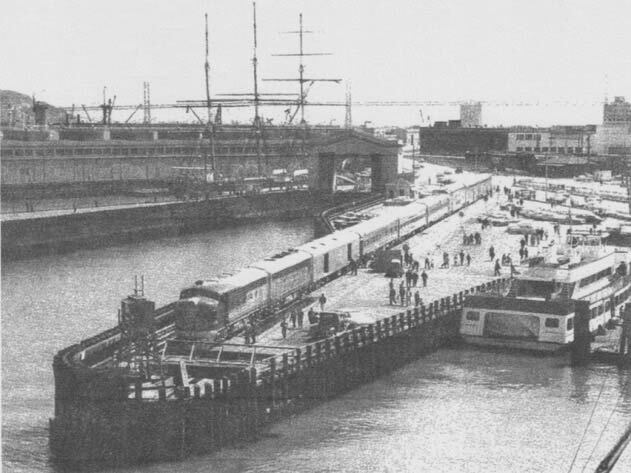 Railroad Magazine, June 1973, Pg 17 - Western Pacific's Las Plumas (a powered car ferry), on Aug 12 1972, holding The Flying Scotsman and the entire train crossing SF Bay. She was on her way to shipped back to England. 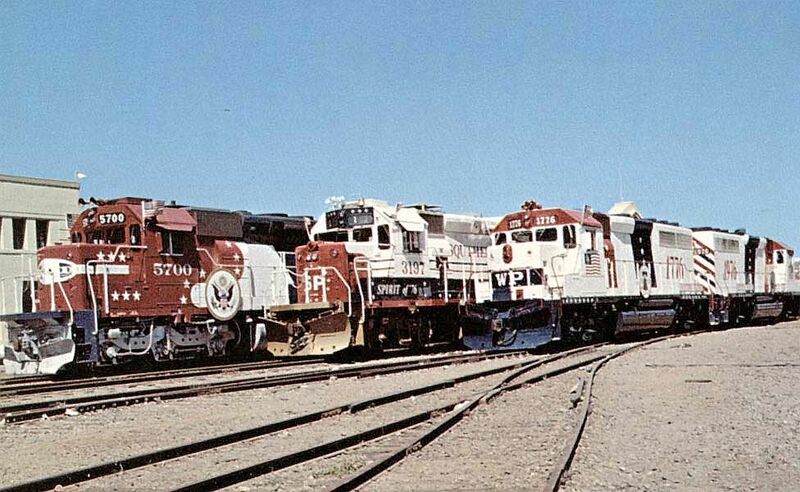 Railroad Magazine, April 1978, Pg 28, 58 - Photo of San Francisco Belt Railroad Alco #25 pulling the famed LNER # 4472 at Pier 41 on April 7, 1972.